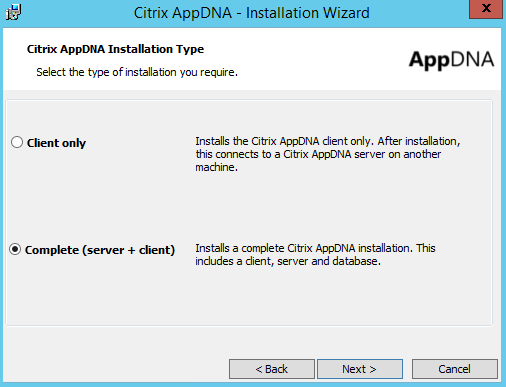 Logon to you Citrix AppDNA server. 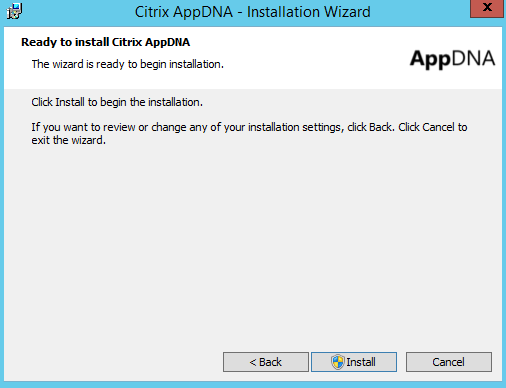 Download Citrix AppDNA 7.9 installation file from Citrix.com. 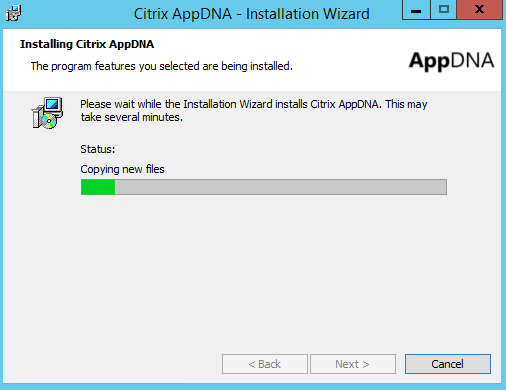 After the download has completed, double click on Citrix-AppDNA msi file to start the installation. 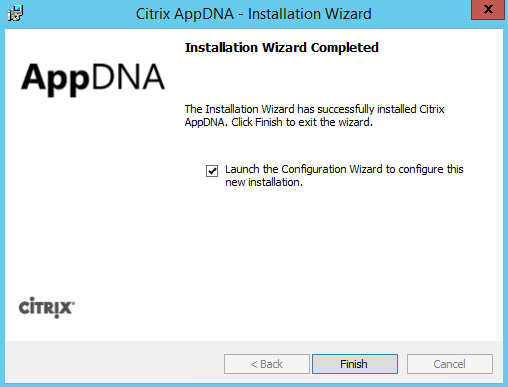 Welcome to the Installation Wizard for Citrix AppDNA 7.9.0.7632. Click Next to get started with the upgrade. 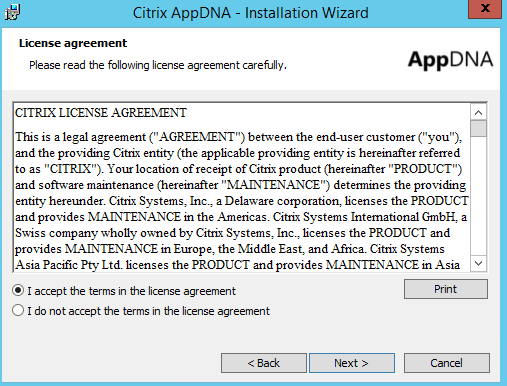 Select “I accept the terms in the license agreement”. Click Next. Choose Complete (Server + Client) and click Next to continue. Leave the default installation paths for client files and server files or change them to fit your environment standards. Click Next. 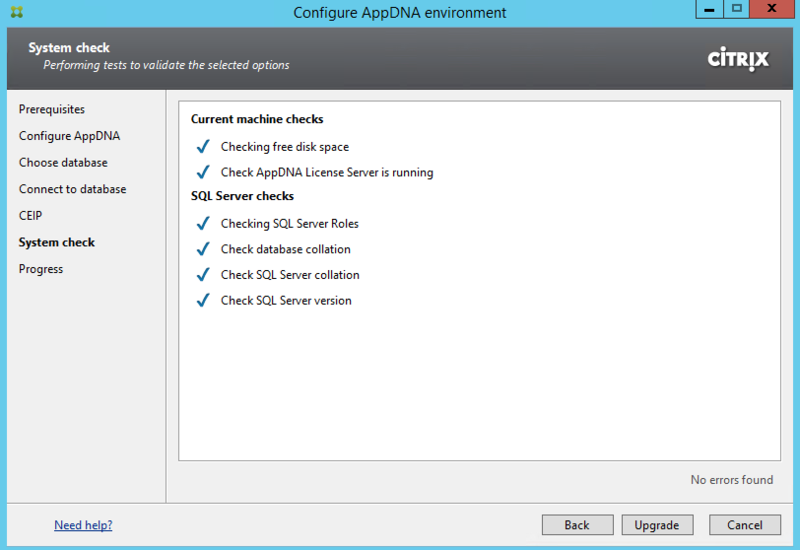 Select the checkbox “Launch the Configuration Wizard to configure this new installation. 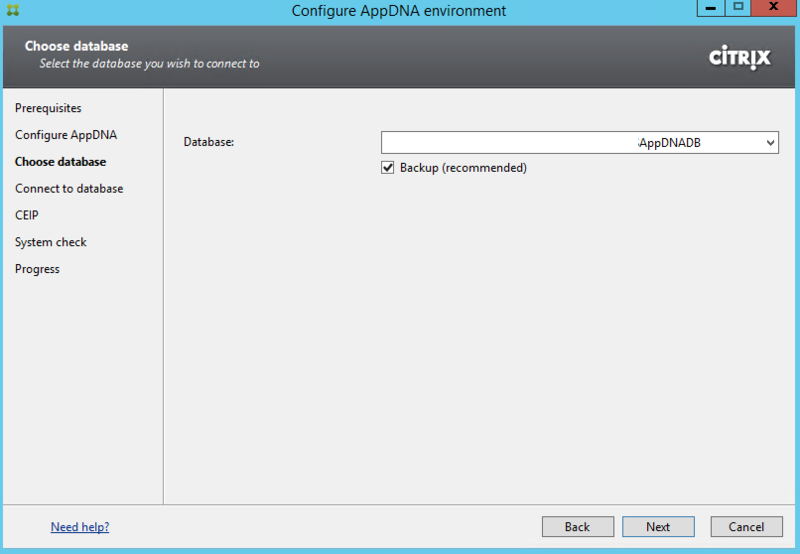 Click Finish to start configuring and updating your database for Citrix AppDNA 7.9. Verifying all required IIS features are enabled on your server. 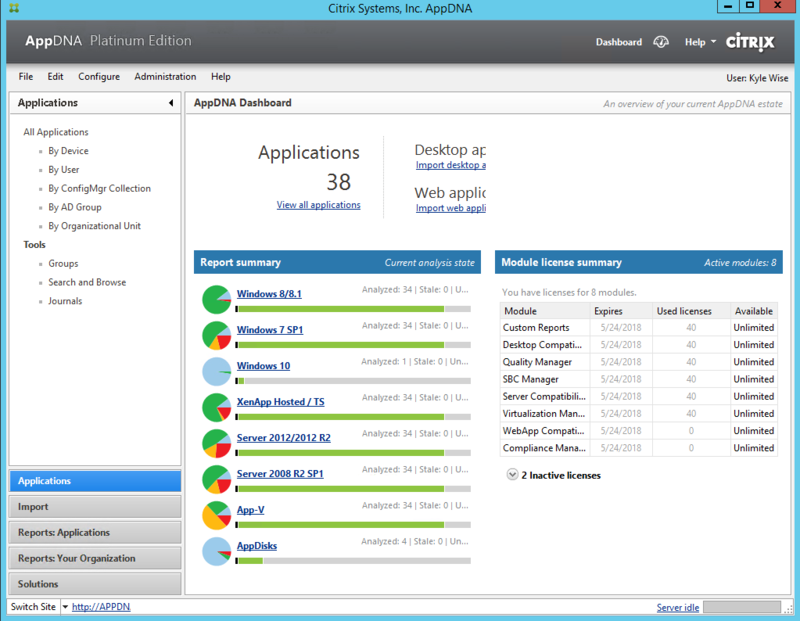 AppDNA requires the following IIS and ASP.NET features. 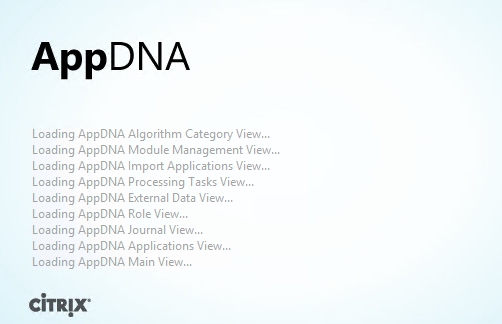 Select the AppDNA database from the drop down. Check the backup box and click Next. 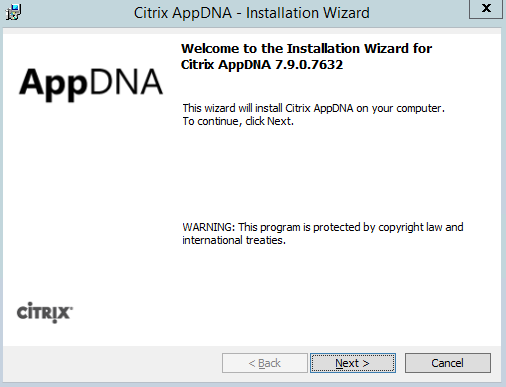 Wait for AppDNA to contact and verify your Citrix License. I used Authentication Type Windows and specified the service account but you can choose an option that fits your environment best. 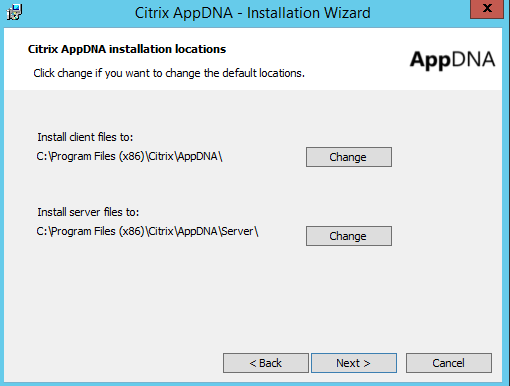 Wait for Citrix AppDNA to verify your server configuration. Click upgrade when ready. This upgrade can take awhile, however it didn’t seem to take as long as previous upgrades have taken. Click Close when the Upgrade has completed successfully. 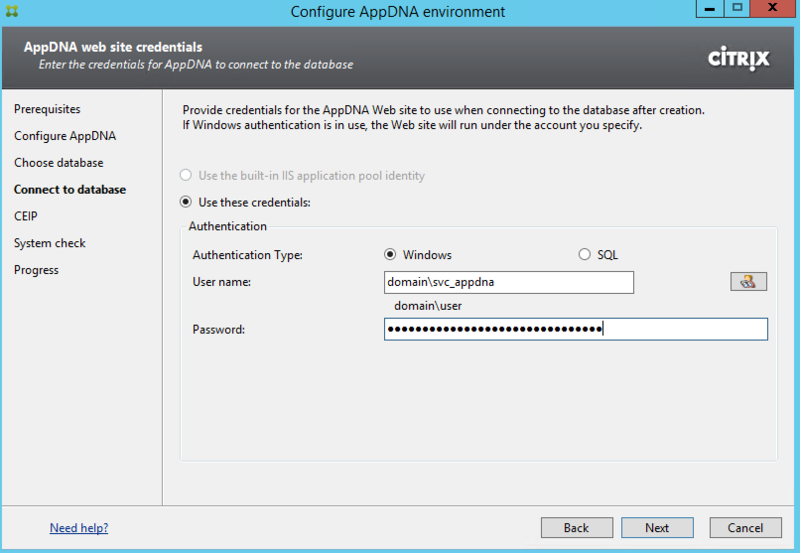 Open the AppDNA Console and login. 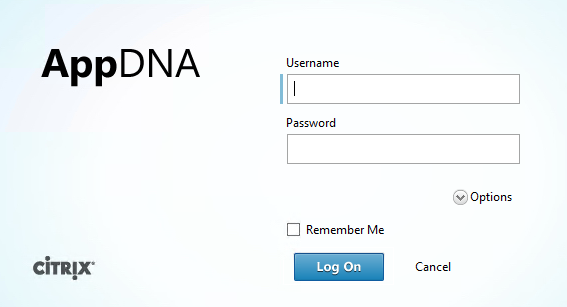 If you want to use integrated login or choose a specific database click the options button. 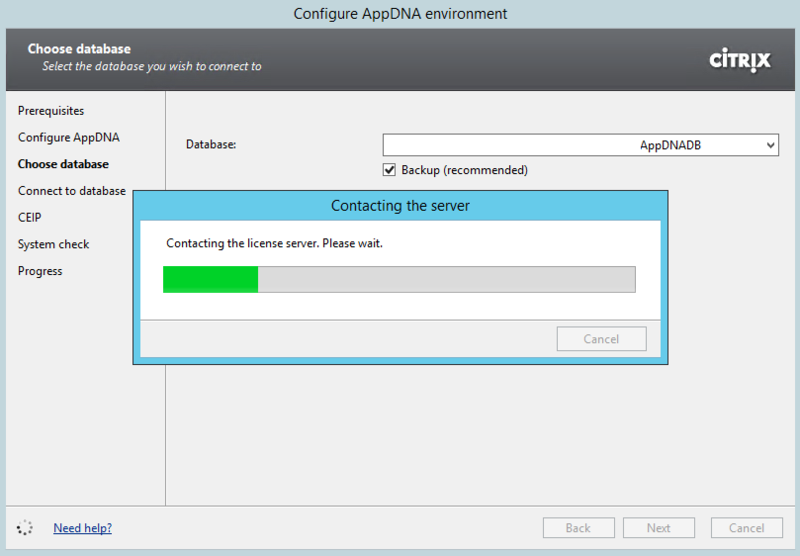 Wait for AppDNA to load. 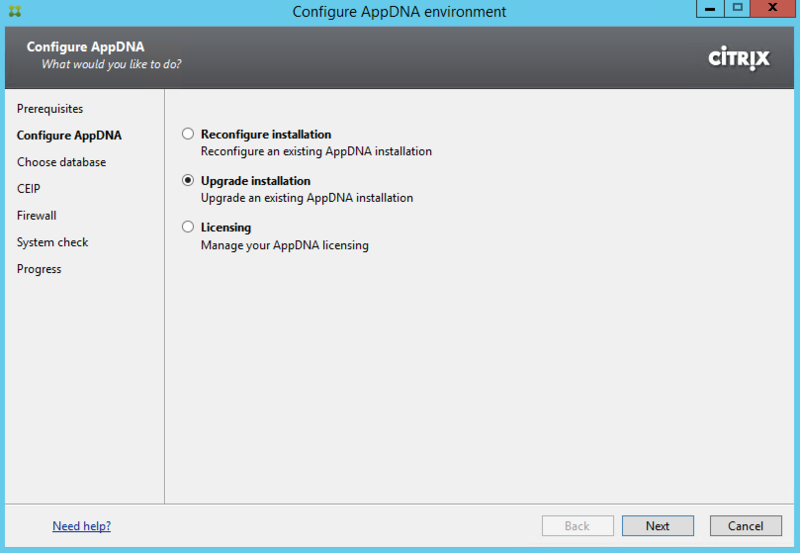 Verify your AppDNA configuration and settings are still there.